Two of the anime films were recently screened as part of The ODEX Film Festival last month. Global streaming giant Netflix has added on Sunday several Japanese anime films on their line-up in five countries in Southeast Asia, including the Philippines. Most of the anime titles added on the video streaming service were films that had been distributed by Singapore-based anime licensor ODEX, which was screened in cinemas in the region for the past couple of years. Crayon Shin-chan: My Moving Story! Cactus Attack! 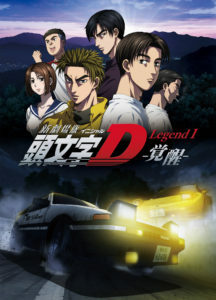 Netflix also added New Initial D the Movie Legend 1: Awakening, but the title is only available for subscribers in Singapore, Malaysia, Indonesia and Vietnam. 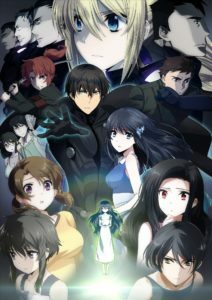 The irregular at magic high school The Movie: The Girl Who Summons the Stars is an animated film based on the light novel series by Tsutomu Satou, which is being published by Kadokawa’s ASCII Media Works since July 2011 under their Dengeki Bunko imprint. The light novel currently has 26 volumes. Satou has written the story for the anime film, which was directed by Risako Yoshida, who previously worked on the anime series Diabolik Lovers. Kana Ishida handled character designs, which was produced by anime studio 8 bit. The Japanese voice cast were lead by Yuichi Nakamura (“Gray Fullbuster” Fairy Tail) as “Tatsuya Shiba” and Saori Hayami (“Miho Azuki”, Bakuman.) as “Miyuki Shiba”. The irregular at magic high school The Movie: The Girl Who Summons the Stars was screened in Philippine cinemas in October 2017. 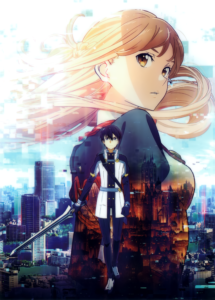 Sword Art Online the Movie: Ordinal Scale is an anime film based on the highly-popular light novel series Sword Art Online, written by Reki Kawahara with illustrations by abec, which is being published by Kadokawa’s ASCII Media Works since April 2009. The light novel currently has 20 volumes. The anime film is an original story that took place after the “Mother Rosario” arc, which was written by Reki Kawahawa and directed by Tomohiko Ito. Character designs was made by Shingo Adachi, which was produced by A-1 Pictures. Yoshitsugu Matsuoka (as Kirito), Haruka Tomatsu (as Asuna), Rina Hidaka (as Silica), Ayahi Takagaki (as Lisbeth), Miyuki Sawashiro (as Sinon), Hiroaki Hirata (as Klein) returned to voice their characters in the movie. Sword Art Online the Movie: Ordinal Scale first premiered in Philippine cinemas in February 2017, which was “same day” as the Japanese premiere, which was then followed by a “Fan’s screening” event in April of the same year. Kuroko’s Basketball the Movie: Last Game is an anime movie adaptation of Kuroko’s Basketball: Extra Game spinoff manga, written and illustrated by Tadatoshi Fujimaki, which ran in Shueisha’s Jump Next! magazine from December 2014 to March 2016. The manga has two volumes. The staff of the previous anime adaptations, including director Shunsuke Tada, scriptwriter Noboru Takagi and character designer Yoko Kikuchi, returned to work on the movie, which was produced by Production I.G. Manga creator Fujimaki also worked in the film’s scenario. 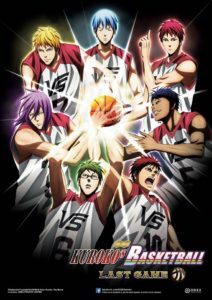 The Japanese voice cast are lead by Kensho Ono as “Tetsuya Kuroko” and Yuuki Ono as “Taiga Kagami”. Additional voice cast include Hikaru Midorikawa (“Lancer”, Fate/Zero) as Jabberwock point guard “Nash Gold Jr.” and Tetsu Inada (“Iberuta”, Endride) as Jabberwock center “Jason Silver”. Kuroko’s Basketball the Movie: Last Game first premiered in Philippine cinemas in May of last year. 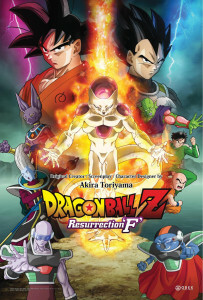 Dragon Ball Z: Resurrection ‘F’ is the 19th animated feature film based on the highly-popular Dragon Ball franchise, as well as the 15th under the Dragon Ball Z branding, and the first Japanese film to be screened in IMAX 3D theaters. The screenplay and character designs was handled by Dragon Ball creator Akira Toriyama, which was directed by Tadayoshi Yamamuro and produced by Toei Animation. The Japanese voice cast were lead by Masako Nozawa as Son Goku & Son Gohan, and Ryusei Nakao as Frieza. Dragon Ball Z: Resurrection ‘F’ first premiered in Philippine cinemas in June 2015. New Initial D the Movie is a film trilogy based on the popular racing manga series by Shuichi Shigeno, published from 1995 to 2013. “Legend 1: Awakening” was the first of the three-part movie, which is a retelling of the manga’s early stages, released in Japanese theaters in August 2014. The movie was handled by an entirely new staff, which will be directed by Masamitsu Hidaka, who worked on the Pokemon: Indigo League anime series, while Destiny Warriors (Hero Tales) scriptwriter Mayori Sekijima handled the movie’s scripts. 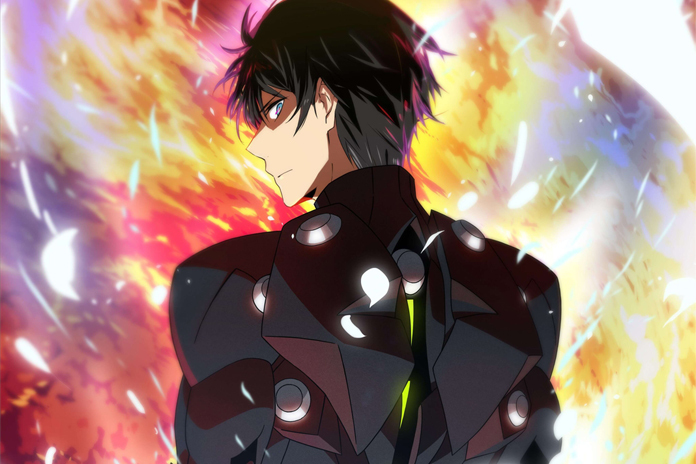 Koji Haneda, who worked on the sci-fi anime series Scared Rider Xechs, handled character designs for the movie, which was produced by LIDEN FILMS and SANZIGEN Animation Studio. Mamoru Miyano, who voiced “Light Yagami” of the popular horror anime series Death Note, portrayed the lead character Takumi Fujiwara. Crayon Shin Chan: Fast Asleep! The Great Assault on the Dreaming World, which was the 24th animated movie based on the popular slice-of-life comedy series, premiered in Philippine cinemas in November 2016. The 25th movie, Crayon Shin-chan the Movie: INVASION! Alien Shiriri, was screened in cinemas in July last year. Sword Art Online and Kuroko’s Basketball’s anime film adaptations were screened in Philippine cinemas as recent as last month, as part of The ODEX Film Festival from November 21-27 in select cinemas in Metro Manila and Cebu.